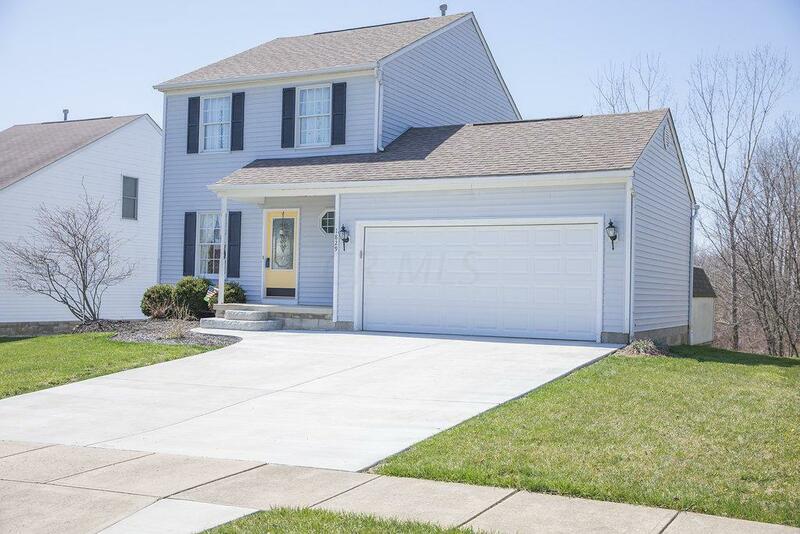 Charming, well cared for home in River Valley Highlands with lots of extras! Comfortable living spaces, Master with vaulted ceilings and on suite, full lower level partially finished with Wet Bar, composite deck, NEW widened concrete drive and walkway, as well as some Bamboo flooring! Reserve space behind home with pond and mature trees! Large storage shed, firepit and nice yard add to the value this home offers. Workshop area in garage! Take a look! !